Attack 1 : Swag in your face. Attack 2 : Swag Foreveh. Swag is now immortal. Can't touch this. 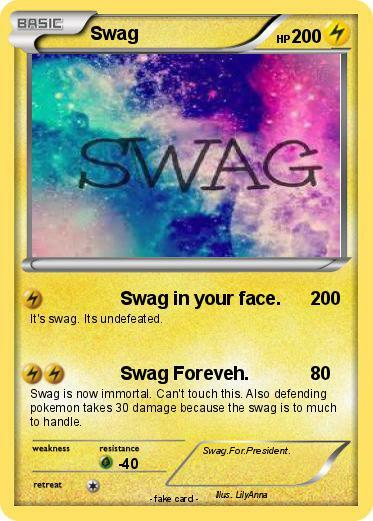 Also defending pokemon takes 30 damage because the swag is to much to handle.